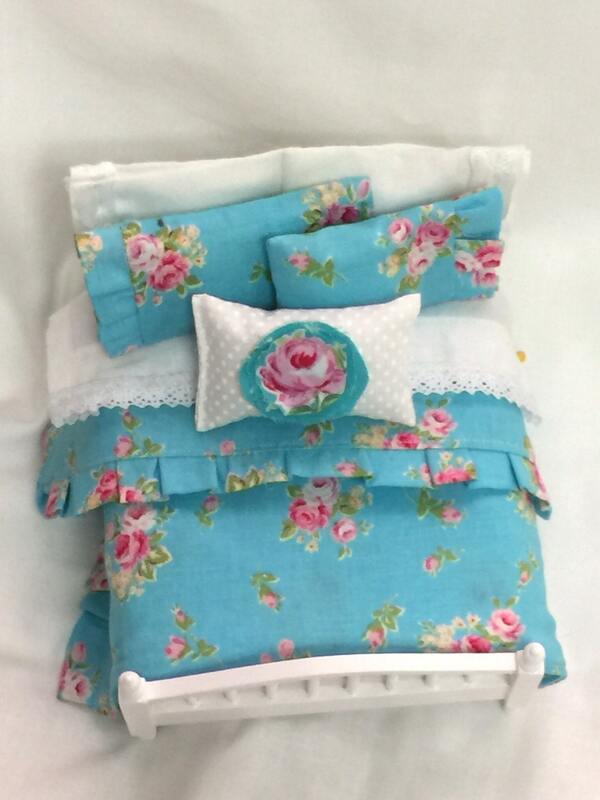 Shabby Style Aqua comforter and shams have ruffled edges and are made to fit a standard miniature dollhouse queen bed. Message me if you need specific measurements. Most queen size beds are approximately 6" long and 4"-5" wide... But not always. The comforter is approximately 7"x7". This also comes with a lace embellished sheet set and white blanket. I make my sets a little longer so that they can be folded back for a layered look. The sets of bedding are great. Thank you.